Ah sleep - I feel your pain with insomnia. Clearly you have it worse with Pearson, but it will pass in time. Hang in there :) But it is frustrating when despite being so tired you still just cannot turn your brain off and sleep. I wish I was one of those people who could sleep through anything! Hadn't even thought of the pea as a metaphor before. Really does put the story in a whole new light. For other tales involving sleep, I thought of Vasilisa the Fair. Once Baba Yaga is asleep she is able to bring out the doll to help her. So sleep gives her protection, and a way to keep her secret. Also, the doll does the work for her whilst she herself sleeps, showing how sleep can be rejuvenating and help to solve problems. Also, during the day when it's inanimate I guess the doll is technically sleeping as well. So different sleeping habits can work together. In some versions of the Frog Prince he has to sleep in the princess's bed. And Beauty has dream sequences in Beauty and the Beast. I'm also reminded of Kate Crackernuts, which is a little like a gender-swapped version of the Twelve Dancing Princesses. Frog Prince is interesting-the idea of sleeping with a frog in her bed is clearly distressing to the Princess, yet I don't think they ever get to the sleeping part, she usually throws him against the wall first! And Kate Crackernuts is an excellent example to include, especially of a tale in which it's a female staying awake and doing the rescuing. I think I've read that particularly for insomniacs irregular sleep schedules á la "sleep when the baby is asleep" aren't recommended, but you better ask your doctor or midwife about that. A lot of fairy tale analysis is quite child-centric and generally that's a good thing, but often it's forgotten that most of the time it's adults that tell these stories to children and bring in their own viewpoint. Lullabies show that perhaps more clearly, often including a mother's problems or anxities. 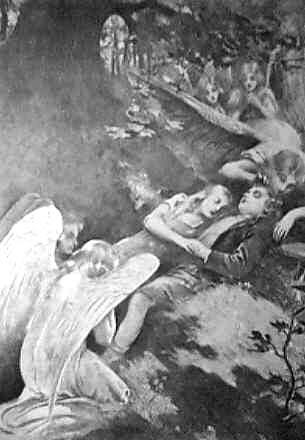 Pre-enlightenment songs are more crass about this, often attempting to scare children into falling asleep, but in more modern lullabies a close listener can find a subtext not intended for children as well. The book "Go the F*ck to Sleep" is a comedic look at parents letting shine through their true feelings during the bedtime ritual. Many stories feature the (mostly male) protagonist having to stay awake till late at night. Ironically few heroes succeed by actually staying up. In "The Fire Bird" Ivan falls asleep, but is awoken by the Firebird's bright glow - interestingly his brothers who failed did not. In some tales the hero has to keep watch in front of or in tje princess's bedroom as a final test before marrying her. 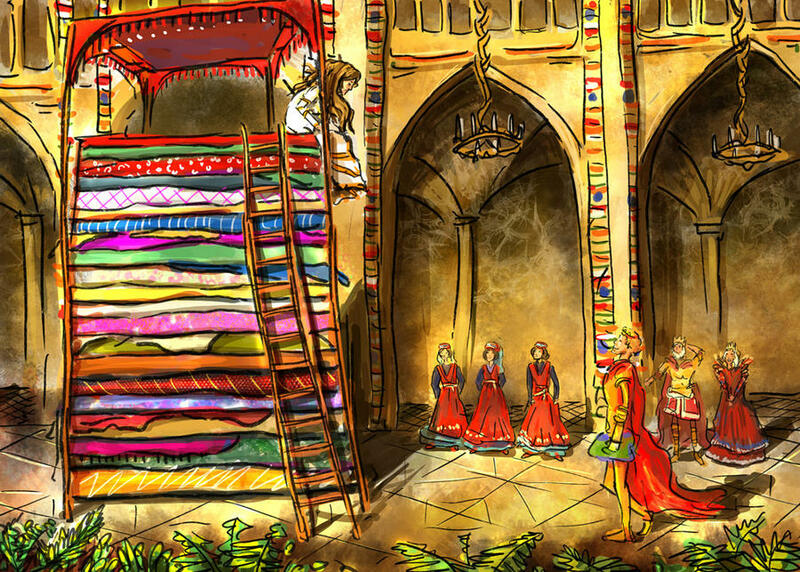 Often the princess is actually kidnapped, because he fell asleep and he has to rescue her before dawn. In an English fairy tale the princess likes him so she simply lies to her father, claiming Jack was up all night. I totally agree that we should consider the perspective of the tellers of tales and not just children, especially since until relatively recently fairy tales were told to everyone and not just intended for children! Firebird is a great example. It seems ironic, because being a light sleeper doesn't necessarily help us get good quality sleep, but in earlier times it would have helped keep you alive when problems arose! So - in those Bridegroom tales, when the husband is in a drugged sleep - is it in THOSE instances that sleep is an obstacle to be overcome?